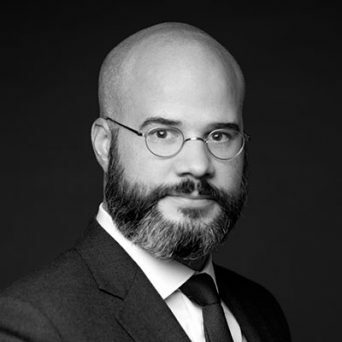 William Abramovicz, an Associate Director at FRA, is a forensic accountant with over 12 years’ experience in forensic accounting reviews and investigations, financial control, project finance, internal control and internal audit. He has been working closely with law firms in France, the UK and the US. William has been involved in five different FCPA and fraud related Deferred Prosecution Agreements (DPA) for companies operating in the oil and gas, life sciences, aviation and banking industries. He has worked both alongside DOJ-appointed independent compliance monitors and with outside counsels assisting multinational companies in preparation for the compliance reviews of its DOJ-appointed monitor. His recent experiences also include a number of FCPA reviews, pre-acquisition due diligence, internal investigations as well the first monitorship supervised by the French anti-corruption authority. Prior to joining FRA, he worked as senior internal auditor for a multinational firm, where he gained experience in internal control and audit. The company was active in more than 100 countries and was integrating 12 acquisitions in the last five years. Prior to that, he was a project finance manager in a leading environment company on a water treatment plant project in Canada, where he dealt with construction claims and arbitration issues. William is a Certified Fraud Examiner (CFE). He holds a Bachelor in Law from Pantheon-Sorbonne University in Paris and a Master of Science in Management from SKEMA Business School in Lille. He is a native French speaker, is fluent in English and has a working knowledge of German. After 3 years in FRA’s Paris office, William is now based in the US.